1124 Quail Run offers you SO much! Gorgeous 4 bedroom, 2 full bath with 2-car attached garage on .70/acre landscaped lot with private inground swimming pool. 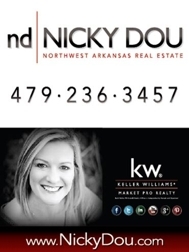 There are NO other homes for sale in all of NWA "THIS NICE" with a POOL for this price! Listed for sale for only $215,000 - new carpet, custom painting, awesome master suite and bath with oversized whirlpool tub. Washer/Dryer/Fridge are negotiable... JUST MOVE RIGHT IN this awesome home for sale in Northwest Arkansas.